The WM-BI-48-5823 will heat up a room in more ways than one – featuring 13 colors of ambient back lighting, this unit adds wow factor to any space. 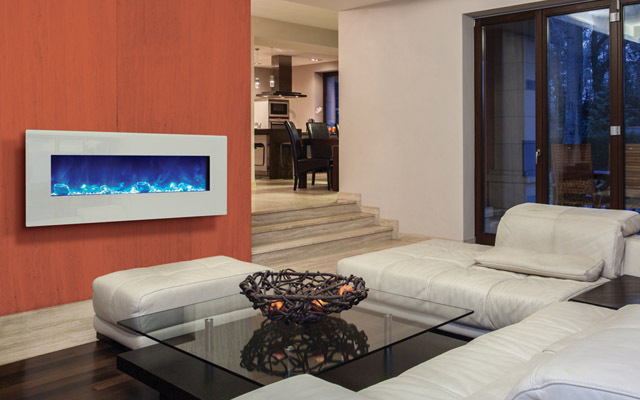 The WM-BI-48-5823 features temperature maintenance controls and the ability to be wall mounted or built-in to a wall for a custom finished look. Features contemporary white glass surround and comes standard with our unique Ice Media made up of large glass nuggets with clear and blue diamond shaped fire glass.